I just wanted to officially announce on my blog that I started a t-shirt campaign on Teespring. I am testing out this idea for maybe a future t-shirt or merchandise line. My idea is to include my logo or the associated names of my blog (A Future Ancient, etc.) in different designs and a memorable quotation from well-known voices. There are nine days left to get a shirt, but even if I don’t reach past my goal, I will try again with other looks. 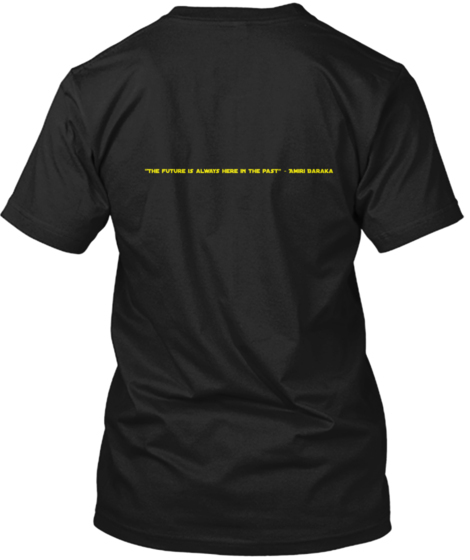 Below is the current t-shirt with the logo and the quotation from Amiri Baraka I feature on my blog, and some possible quotations I would use in the future. Let me know if there are others you would like included.